There’s several pros and cons of truck driving. Truck driving can be extremely rewarding, even for new truck drivers. Even so, trucking isn’t for everyone. Truck driving, for example, it’s a viable career that you may consider. Truck drivers make great money and there’s many perks. But with anything, there’s downfalls to truck driving also. 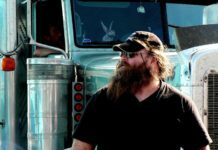 Let’s explore the pros and cons of truck driving and being a trucker. 1. As a truck driver, you are constantly assured of ever-changing scenery in the course of your work. You get to visit very many places that you may not necessarily get to know about if you had an office job. People in local truck driving jobs literally get to see most parts of the U.S as they work and this kills the drudgery that is sometimes associated with being stationery in one work station all year long. 2. Good pay – Most of the goods today, probably over 70%, are delivered by trucks across the country. 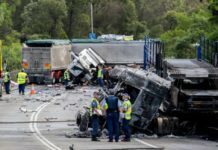 Many companies therefore will constantly be on the lookout for experienced truck drivers who can handle the job, and compensate them well because they are not very common. Local truck driving jobs may actually have much more money than other jobs that require exceptional college grades, which may not be a forte for many people. 3. Benefits and perks – Most trucking companies have a wide variety of benefits which include medical covers, marriage counseling facilities, high speed wireless networks that are free, health insurance and travel accommodation discounts that the drivers can enjoy. 4. Opportunity – There’s usually a lot of different opportunities when it comes to truck driving jobs. Now that the truck driver shortage is at an all-time high, there’s plenty of room for growth and promotion. If your a new truck driver, you’ll still need time to get experience but if you do great work, you’ll move up much faster then previous years. The drive shortage has forced trucking companies to adapt with bigger sign-up bonuses and more pay per mile. 1. Long hours on the road will have to be part and parcel of your days and nights. You will constantly need to be on the road so you may get to miss important family functions such as school activities for your children or that occasional impromptu hang out with friends. It will require you to sit out hours on end driving across the country just holding the steering wheel and staring at the road, so you need to be psychologically prepared for that. 2.Most of the times, you will find that you do not have a companion to talk to. You will not have someone to share a meal with, and you may not always get that favorite meal you like at your usual eat out shop. Any place that you come across in the course of your journey, however unfavorable will have to do. You will also have to be comfortable with communicating with people on phone or CB, since that will be almost always the only available way to keep in touch with your loved ones. 3.Truck driving jobs can become repetitive, especially if you’re driving locally. Seeing the same route, same path day in and day out, it can make for some long hours. Most truck drivers don’t mind driving local, to many it’s a perk. If you’re a long haul truck driver, being away from home can be a downfall. You may lose track of the days and what is going on in the world. Most of the news will happen without you knowing and you may come back home to a whole new world that you did not leave behind. 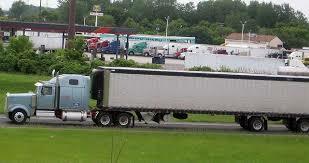 Nearly all new truck drivers will be OTR truck drivers. 4. Truck driver health – Living on the road can be tough on anyone. Truck drivers are one of the most likely classifications to become obese. Truck drivers rarely get a full night’s sleep. The statistics are off the charts. Driving long hours a day, working seven days a week, being a truck driver can take a toll on your health. You should try to take the time to eat more healthier, start making eating healthy routine. Just like with any job, driving a truck for a living has its pros and cons. You need to determine what works best for you and decide if truck driving is for you. TIP: Take the time to talk to veteran truck drivers. A veteran truck driver will help give you a good idea of what to expect. Truckers Logic is your trusted source for trucking news and resources.